AUGUSTA, Maine — Gov. 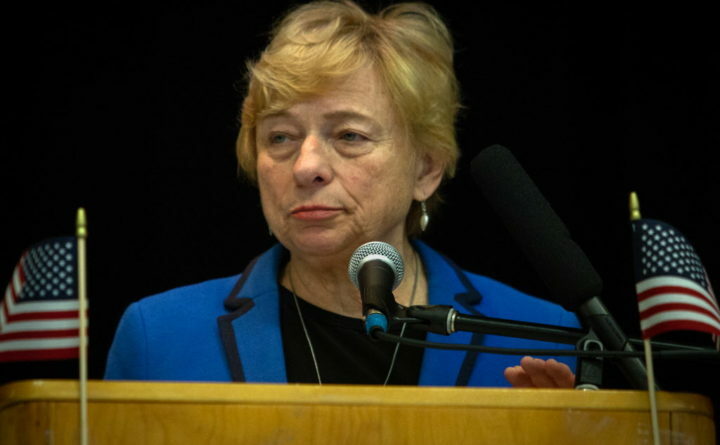 Janet Mills proposed an $8 billion two-year budget on Friday that she said would avoid raising taxes and protect reserves while providing long-term funding for Medicaid expansion and increasing spending on K-12 education by $126 million. There are still questions about the Democratic governor’s budget, which proposes spending virtually every dollar forecast to be generated through mid-2021 and is 11 percent higher than the current budget, which passed after a government shutdown in 2017. Mills faced early criticism from progressives for not going further to fund educational and social needs, while Republicans wondered if it set Maine up for a future tax hike. It is only an initial step. Mills’ proposal will be worked for months by the Democratic-led Legislature before the state adopts a new budget, which must happen before the end of the fiscal year on June 30 and will require two-thirds approval from both chambers. Speculation about the governor’s proposal has been dominated by her campaign pledge to not raise taxes on Mainers, even as legislative Democrats have signaled spending priorities after eight pent-up years under Gov. Paul LePage. The proposal she unveiled Friday offered incremental steps toward many of the priorities she laid out during the 2018 campaign. When asked Friday if she would oppose proposed tax increases from fellow Democrats, the governor said she has “committed to no tax increase.” Mills told reporters that she was “respecting what I heard from the voters” during her campaign. The proposed hike in K-12 spending is $200 million short of what the liberal Maine Center for Economic Policy said would be enough to fund essential local costs at a never-met, voter-mandated threshold of 55 percent. Her budget would raise minimum teacher salaries from $30,000 to $40,000 and sets Maine on a four-year path to universal pre-K. It also provides $146 million in funding for Medicaid expansion. Mills fulfilled a major campaign promise on the first full day of her administration when she issued an executive order to implement voter-approved Medicaid expansion that LePage had stalled since 2017. She began expanding coverage almost immediately, and more than 3,200 were covered under expansion by January’s end. While the state’s share of expansion is expected to cost $110 million over two years, it’s being funded now with $37 million in surplus Medicaid money. Mills also wants to increase revenue sharing to cities and towns, raising the amount of state tax revenue shared from 2 percent to 3 percent by the last year of the budget cycle. That’s still short of the 5 percent threshold that has shorted municipalities by $700 million since the recession, according to the Maine Municipal Association. The new governor is planning no large change in the state workforce, reduced under LePage by about 1,600 positions. Kirsten Figueroa, Mills’ budget commissioner, said Friday the head count would rise by about 100 as a result of the budget, with roughly half in public safety — including a dozen new Maine State Police troopers and sergeants. Mills’ budget leans on revenue projections showing Maine will take in $7.9 billion during the two-year cycle and balances only after a planned transfer from this fiscal year. As drafted, it would just balance with $383,000 to spare. Maine has seen record surpluses of late and the main reserve fund had $272.9 million last year that are untouched in Mills’ proposal. The half-measures in the budget will frustrate progressives. The Maine Center for Economic Policy advocated a budget outline that would use surpluses and a $518 million income tax hike on people making more than $100,000 to fully fund schools and other items. Garrett Martin, the group’s executive director, said while Mills’ proposal dedicates important revenue to health care and education, it “locks in LePage-era tax policy” and Maine needs “a practical conversation about revenue” if education and tax relief programs are to be fully funded.